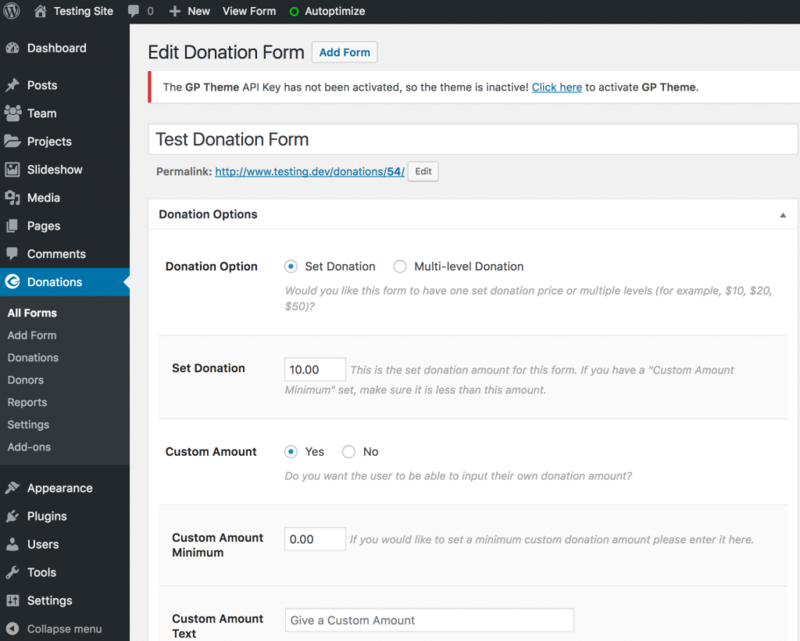 Go to Donations > Add Form within WordPress admin. For GivingPress Pro Theme Customers: Within Appearance > Customize > Home Page > Donation Section > Add a Widget. Select Give – Donation Form. Select the form you recently created under Give Form. Uncheck Display Donation Section box; Save & Publish. Create a Donation Form if you haven’t already done so (see steps 1-5 above). Donations > All Forms > Copy form shortcode within Shortcode field (see image below). Within WP admin or Site Builder, select the page you want your donations to be on (or create a new page just for donations). Open Editor > paste shortcode.